Mentor Capital, Inc. (MNTR) is a fully reporting public company that makes acquisitions in the medical marijuana and cannabis sector. Mentor provides liquidity and acts as a public market incubator for established private cannabis companies that are looking to go public and will assist with this process at cost. Mentor expects to invest $21M in cash into its portfolio companies. 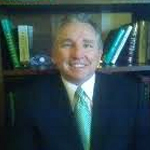 Mentor was formed in Silicon Valley in 1985 by current CEO, Chet Billingsley. The company completed dozens of early private acquisitions and went public in 1996. Chester Billingsley is the founder/CEO of Mentor Capital, LLC., a fund that oversees a $140 million dollar account that makes strategic investments in businesses within the medical marijuana industry. 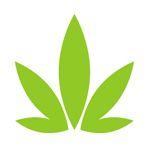 Majestic Venture Group is a group that focuses on providing cannabis companies with angel funding. We create market leaders & industry disruptors who will not lead the market but create new ones.